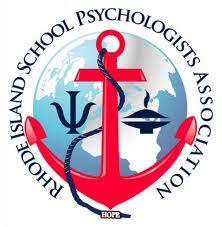 The organization shall be called the Rhode Island School Psychologists Association. The Rhode Island School Psychologist Association, Incorporated (RISPA) is a professional organization of school psychologists. RISPA is an affiliate member of the National Association of School Psychologist (NASP), which is located in Bethesda, MD. The Rhode Island School Psychologists Association is organized exclusively for the charitable purpose of promoting the professional development of its members and to advocate for optimal educational experience and mental health for all children in collaboration with schools, families and communities. The Rhode Island School Psychologists Association is also organized to make distributions to organizations under section 504(c) (6) purposes of the Internal Revenue Code (or corresponding section of any future Federal Taxcode). No part of the Rhode Island School Psychologists Association net earnings shall inure to the benefit of, or to its members, trustees, directors, officers or other private persons, except that the corporation shall be authorized and empowered to pay reasonable compensation for services rendered and to make payments and distributions in furtherance of section 504(c) (6) purposes. No substantial part of activities of the Rhode Island School Psychologists Association shall be the carrying of propaganda, or otherwise attempting to influence legislation, and the corporation shall not participate in, or intervene in (including the publishing or distribution of statements) any political campaign on behalf of or in opposition to any candidate for public office. Notwithstanding any other provision of these articles, the Rhode Island School Psychologists Association shall not carry on any other activities not permitted to be carried on (a) by a corporation/organization exempt from Federal income tax under section 504 (c) (6) of the Internal Revenue Code (or corresponding section of any future Federal tax code) or (b) by a corporation/organization, contributions to which are deductible under section 170 (c) (2) of the Internal Revenue Code(or corresponding section of any future Federal tax code). Upon dissolution of the Rhode Island School Psychologists Association assets shall be distributed for one or more exempt purposes within the meaning of section 504 (c) (6) of the Internal Revenue Service Code or corresponding section of any future Federal tax code, or shall be distributed to the Federal Government or to a state or local government for public purposes. The location shall be determined by the Executive Board. The organization’s principal mailing address shall be: PO Box 7083, Warwick, Rhode Island, 02887. Other offices for the transaction of RISPA business shall be located at such places as the Executive Board may, from time to time, determine. a. )A person holding a provisional, professional, or life certification as a School Psychologist in Rhode Island. b. )Those trained as a School Psychologist, but currently functioning as a consultant or supervisor of school psychological services, or engaged in training of school psychologists at a college or university. 2. Student: A person holding a Bachelors degree who is enrolled in an approved graduate program in the field of School Psychology. 3. Retired: A former member of the Rhode Island School Psychologists Association who is no longer working full time in Rhode Island. 4. Associate: A person not certified as a School Psychologist but who is practicing in a related field. 5. Family: A person qualified for membership status who lives at a common address with one or more other members. a.) Members shall have all rights and privileges of the Association. Association except the right to vote and to hold office on the Executive Board. Section 3. Membership in the Association shall not be used as an endorsement of professional competence. Section 4. All RISPA members are free to attend Executive Board meetings. Section 5. Applications for membership shall be submitted to the Treasure accompanied by payment of dues for the current year. Section 6. A member may resign at any time, without question, by so notifying the Board or by nonpayment of dues. The members of the Association shall abide by the Principles for Professional Ethics of the National Association of School Psychologists. No member shall represent RISPA without Board approval. The RISPA membership data is only to be used with Board approval for RISPA business only. Permission for use by individual members will be required for any other purpose. The Executive Board may suspend a member for conduct detrimental to the Association’s stated aims or in violations of the NASP Principles for Professional Ethics. This action may be taken once a person has been investigated and found in violation of the NASP Principles. A person suspended from membership may appeal the suspension. The person seeking the appeal has thirty (30) days from the date of suspension to notify the Executive Board, in writing, of the intention to appeal membership suspension. The President will respond and notify the person of a date and time for the appeal. Two thirds vote of the executive board is required in order to reverse a suspension. Section 6.Conflict of Interest All Board Members and Officers of the organization shall abide by the Conflict of Interests statement in Appendix 1 of the bylaws. The fiscal year of the Association shall be established by the Executive Board. Section 2. Dues The annual dues shall be determined by the Executive Board. Section 3. Dues shall be payable upon receipt of the annual dues statement. Annual dues shall be determined by Membership category. The Executive Board will publish the annual dues schedule in the newsletter as determined by Executive Board vote. The requirements for any category of membership may be waived in whole or part by the Executive Board. Section 4.Annual Budget The Executive Board, upon the recommendation of the Treasurer, shall present an annual budget to the membership for adoption. Section 5. Fiscal responsibility No member of the Association shall contract, or cause to be made in the name of the Association, any debt for any nature whatsoever without the specific and proper authorization of the Executive Board. All Board approved expenses shall be reimbursed upon presentation to the Treasurer with an original, dated receipt. Section 7.Fiscal audit A regular examination and report of the financial records of the Association shall be conducted on an annual basis. Section 1.Business Meeting There shall be at least one business meeting per year, to be held at a time and place determined by the Executive Board. Section 2. Annual Meeting of the Association A meeting of officers for annual reports, and for the transaction of Association business shall be held on a date to be determined by the Executive Board. Twenty percent (20%) of current members shall constitute a quorum for the annual Association Business meetings. A. At any general meeting twenty percent (20%) of the voting membership shall constitute a quorum for the transaction of business. B. At Executive Board meetings a quorum will consist of the President or the President’s designee and four (4) other voting Executive Board members. There shall be ten meetings a year during the academic school year, and summer meetings if called by the president. Section 1. Elected Officers. The Elected officers of the Association shall be President, President Elect, Secretary, and Treasurer, elected at the annual meeting of the Association. Section 2. Eligibility for Elected Office Officers shall be elected from the Regular (Professional) or Retired categories and shall be members in good standing who have been Board members for at least one year. No more than one position may be a Retired member. Section 3. Terms Each officer shall preside for a two year term with the exception of the President-Elect, whose term shall be for one year. This term is to be served on the second year of the term of the slate of officers holding office. No officer shall hold the same office for more than one consecutive term. Section1. Responsibilities When a leadership role in the organization is taken, the officeholder should be familiar with the roles, duties, and responsibilities of the position that is held. Section 2. Duties of the Executive Board. The Executive Board shall formulate the policies of the Association and recommend them to the general membership. It shall implement procedures designed to carry out the goals of the Association. Section 1. The Executive Board The Executive Board shall consist of the President, President Elect, Secretary, Treasurer, NASP Delegate, Past Presidents and Committee Chairpersons. Section 2. Board Members Board members shall consist of RISPA members in good standing who have attended three of the past six Association meetings. Those who wish to join the Board as a voting member must be a current professional school psychologist and a member of the Association. They must attend at least three (3) Board meetings a year, participate on a committee, and submit a written request to the Board to be included on the Board. Membership as a Board member will expire after six consecutive meetings. Section 3. Leave of Absences A leave of absence may be granted by the Board upon written request. Section 4. Responsibilities All obligations of the Association shall be authorized by the Executive Board. o Appointed by the President in consultation with the Board as needed from time to time for a period of one year.  Secure location for event and all necessities such as food, A-V equipment, room reservations, etc. forms used, information on meetings, past reports, future recommendations etc. The President shall appoint a nominating committee. The chair shall be a Past President. This committee shall consist of at least three members and a chair, who shall submit a slate of officers to the Board. Section 2. Nominations Nominations for an office will be accepted from any current Association member. A nominee must be a current member who has attended at least three Board meetings in the past twelve (12) months. Independent nominations must be made in writing. The signature of five current Association members is required for each independent nomination. These names will be included in the slate to the Nominating Committee of the Executive Board. The names of all nominees submitted in writing along with the slate presented to the Board by the Nominating committee, if different, will be presented to the general membership for a vote. They shall be received by a date specified in the newsletter. Section 3. Slate of Candidates The nominating committee shall present a slate of candidates at a Board meeting two months before the annual meeting. This slate shall be published in the newsletter at least one month before the annual board meeting with a short biographical write-up for each candidate. The slate shall be sent in writing to all members of the Association and shall be presented at the annual meeting for the approval of the membership. Elections shall be held every two years. b.) The Executive Board upon written petition of at least five per cent (5%) of the membership. a.) Proposed amendments shall be submitted to a vote of the general membership at an annual meeting. It will be adopted or rejected in accordance with the expressed view of two thirds (2/3) of the members voting when a quorum has been established. Paper ballots may be used in order to ensure that only the voting membership participates in the election. b.) The vote on the amendment must be tallied and certified by the Executive Board. The effective date of the adopted amendment shall be the date of certification of the vote by the Executive Board. The Executive Board shall begin, on that date, effecting an orderly transition to assure a timely implementation of the amendment. The bylaws, upon ratification by its membership, shall become effective immediately. The purpose of the conflict of interest policy is to protect Rhode Island School Psychologists Incorporated interest when it is contemplating entering into a transaction or arrangement that might benefit the private interest of an officer or director of the Organization or might result in a possible excess benefit transaction. This policy is intended to supplement but not replace any applicable state and federal laws governing conflict of interest applicable to nonprofit and charitable organizations. 1. Interested Person. Any director, principal officer, or member of a committee with governing board delegated powers, who has a direct or indirect financial interest, as defined below, is an interested person. Organization is negotiating a transaction or arrangement. Compensation includes direct and indirect remuneration as well as gifts or favors that are not insubstantial. A financial interest is not necessarily a conflict of interest. Under Section III, 1 a person who has a financial interest may have a conflict of interest only if the appropriate governing board or committee decides that a conflict of interest exists. 1. Duty to Disclose. In connection with any actual or possible conflict of interest, an interested person must disclose the existence of the financial interest and be given the opportunity to disclose all material facts to the directors and members of committees with governing board delegated powers considering the proposed transaction or arrangement. d. If a more advantageous transaction or arrangement is not reasonably possible under circumstances not producing a conflict of interest, the governing board or committee shall determine by a majority vote of the disinterested directors whether the transaction or arrangement is in the Organization’s best interest, for its own benefit, and whether it is fair and reasonable. In conformity with the above determination it shall make its decision as to whether to enter into the transaction or arrangement. Section IV. Records of Proceedings. b. Whether partnerships, joint ventures, and arrangements with management organizations conform to the Organization’s written policies, are properly recorded, reflect reasonable investment or payments for goods and services, further charitable purposes and do not result in inurnment, impermissible private benefit or in an excess benefit transaction.